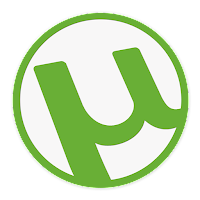 uTorrent is one of the popular & best torrent downloader application available since 2005, but first con of the app is that it have bunch of ads which makes it look stuck sometimes & it freezes too, sometimes. In this post i will show you how to disable ads in utorrent, so just follow guide given below. First of all, Open up your uTorrent/BitTorrent & wait for main window to load. After you're in main screen, click on "Options" then click on "Preferences"
Now After setting above one to false, search for phrases given below & set them to false too. Now, double click on uTorrent/BitTorrent's desktop shortcut & wait for its main window. That's all, Ads are gone & you can now experience ad-free experience.